HUA HIN BEACHFRONT RESORT IS A GOOD, CONVENIENT CHOICE FOR YOUR VACATION. Tired from work? Need to escape the city? Book a short stay at a Hua Hin beachfront resort for the perfect getaway place to relax and recharge. A short distance from Bangkok with convenient transportation to get there by private car or public vans, you will discover the great atmosphere, the beauty of being by the sea and lung cleansing fresh air. 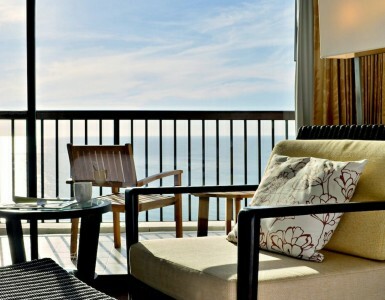 Hua Hin beachfront resort at Novotel Hua Hin Cha Am Beach Resort & Spa has spacious rooms which are well designed. All rooms come complete with a sea view so you can enjoy the captivating sunrise/sunset from your very own private balcony. Hua Hin beachfront resort at Novotel Hua Hin Cha Am Beach Resort & Spa provides a large pool by the sea along with a variety of restaurants and bars. Ocean Terrace is our popular restaurant by the sea where you can be served delicious fresh seafood and international cuisine. The restaurant also proposes a seafood buffet every Saturday from 18.00-22.00 hrs. All the seafood is selected at the market by our Chefs: prawns, fishes, oysters and more. InBalance Spa by Novotel allows you to completely relax and rejuvenate with a wide selection of spa treatments. This Hua Hin beachfront resort also has a variety of attractions nearby such as Santorini water park, Black Mountain Golf Course, Swiss Sheep Farm, Night Market, the Maruekatayawan Palace and much more. 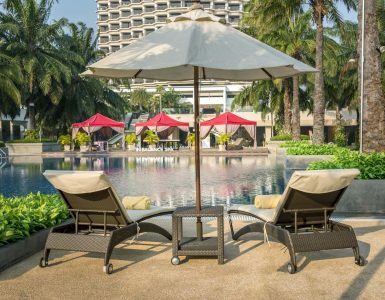 Novotel Hua Hin provides Resort’s activities for entire family If you are sport lover then you will love volleyball, football, swimming pool and Petanque for recreation activities while kids will love kid’s club, the biggest kid’s club in town. Hurry up! Pack your bags and invite your friends or family to stay at Novotel Hua Hin Cha Am Beach Resort & Spa the perfect Hua Hin beachfront resort to experience a stay where memories are made.